It could be argued that the ever-glamorous Beyoncé stole the spotlight at President Barack Obama’s second inauguration last week, when she appeared wearing a gorgeous, glitzy pair of emerald green earrings – worth no less that a staggering $1.8million! Accompanied by a stunning, embroidered floor-sweeping black Emilio Pucci gown, Beyoncé looked truly divine when she took to the stage to perform the US National Anthem in Washington DC. 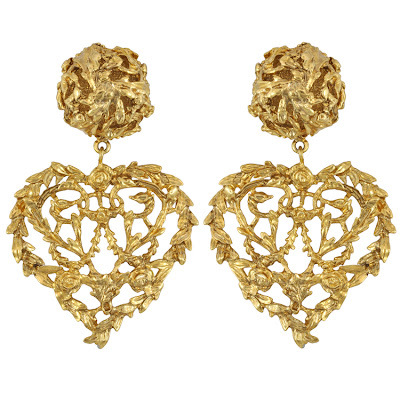 The Lorraine Schwartz earrings were designed exclusively for Beyoncé to wear at this significant occasion, and the designer has quoted the earrings as ‘important but understated.’ Ms Knowles may have been accused of miming, yet there’s no way she can be criticized for the way she looked, as that was simple sensational. Get her glitterati look for yourself, as Sophie’s Closet are pleased to present our pick of the best emerald-green gems to get your outfits racing. Green Goddess: It’s not just Beyoncé that loves emerald green earrings, as these opulent Bounkit Green Agate Earrings have also been seen adorning the earlobes of style icons Angelina Jolie, Nicky Hilton and Blake Lively. Emerald City: If you love the emerald hue, but prefer your earrings to come in slightly smaller packages, try these stunning studs on for size. 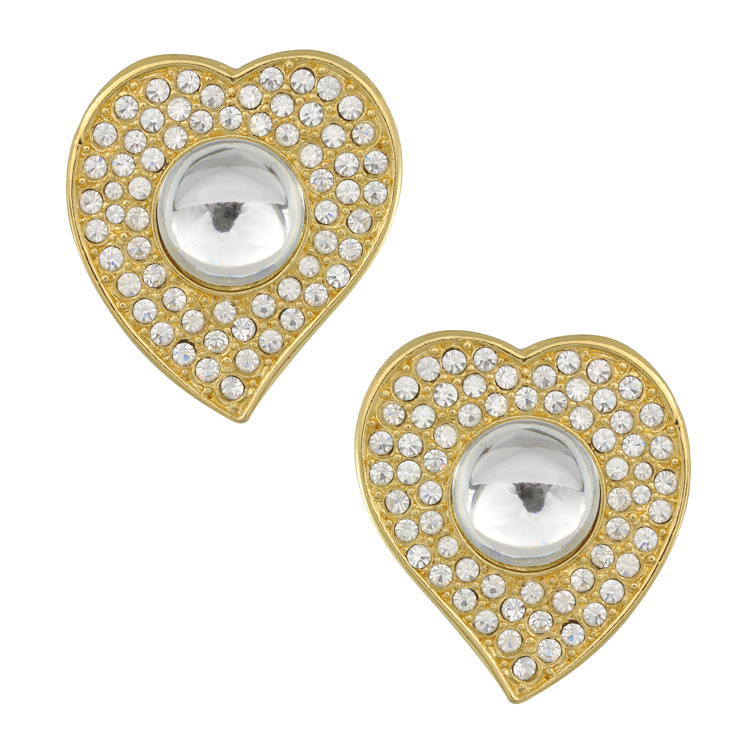 The CZ by Kenneth Jay Lane Emerald Square earrings are clip-on, 18K gold plated and enhanced with Cubic Zirconia stones. 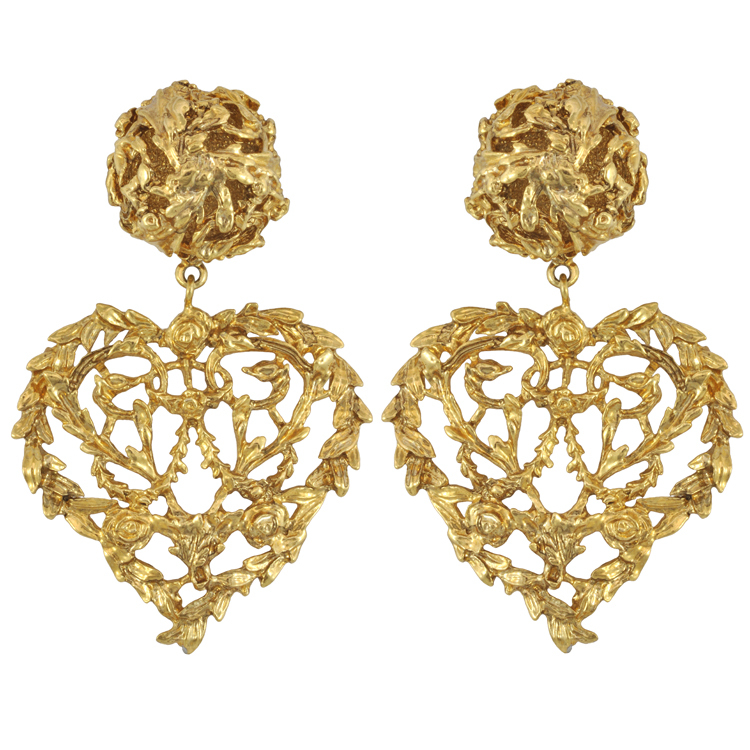 Glamorous in Green: Alternatively, add that vintage vibe to your looks with these Erickson Beamon Bette Emerald Earrings. 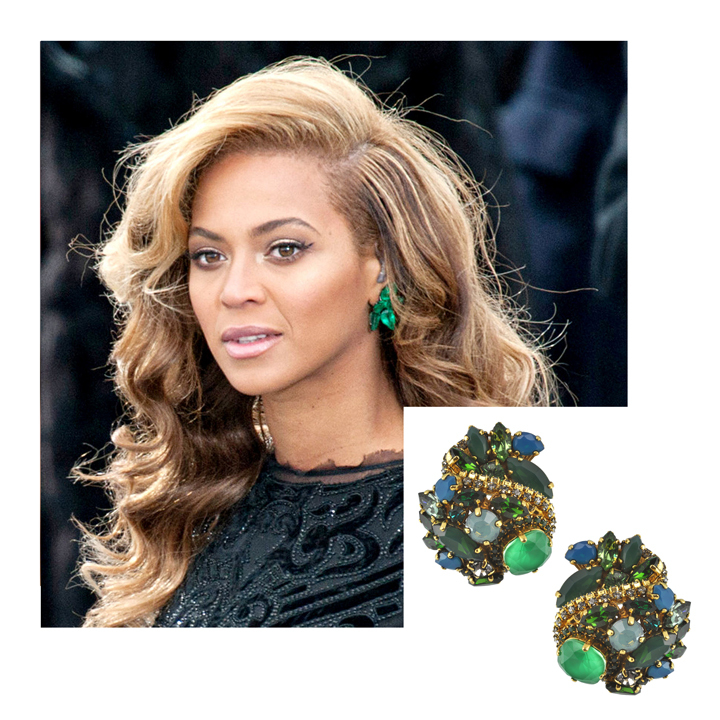 Smoked Swarovski crystal-encrusted with an emerald centre – they’re style-setting and in Beyoncé’s best hue - what’s not to love?! And we’ve more than just earrings, take a browse through our ever-so-chic emerald bracelets, necklaces and rings too. Click this way to get glammed up in green. 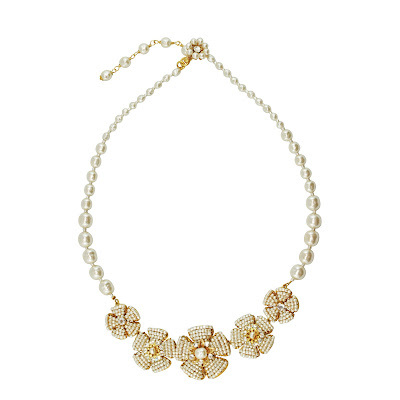 Fancy dressing like a princess? Of course you do, we all would wish to look as regally ravishing as Kate Middleton. The ever-striking Duchess of Cambridge certainly knows how to get our attention in the style stakes. From her feminine, floaty high street frocks to her ultra-glam Alexander McQueen and Jimmy Choo combos, this lady knows how to style up a fashionable look worthy of fashionista-status. After all, we all remember when she wore a Reiss ensemble, it sold out within hours and crashed the brand’s website! Well there’s no need for such a panic today, as we’ve taken a little look into her fave jewellery pierces and found some ever-so-similar styles at Sophie’s Closet. That’s right, you can get prim and proper princess style, right here, right now – no website crashing necessary! First up, we focus on Kate’s simply sleek recent royal visit outfit where she wore a cream funnel neck MaxMara coat with some subtle sparkling studded earrings. 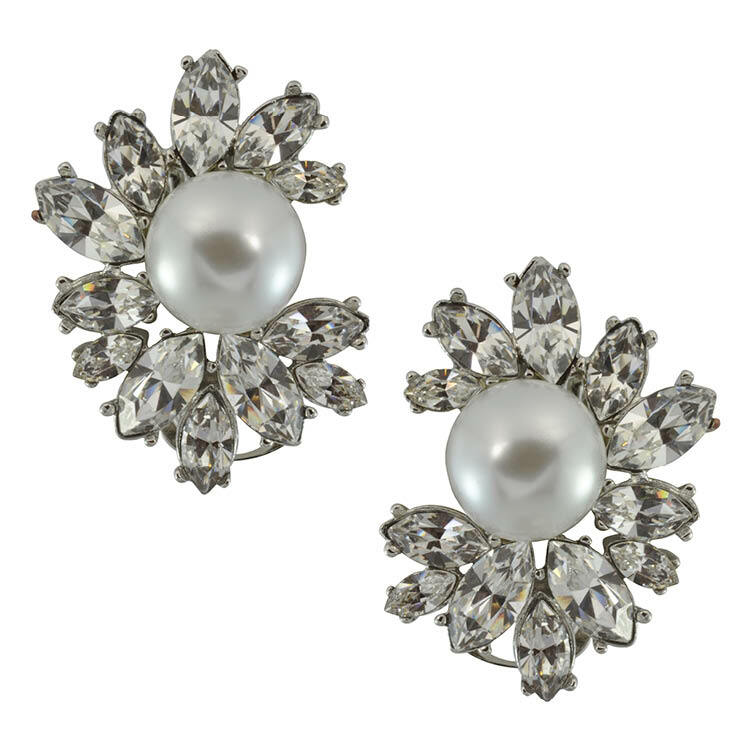 Achieve the look with our Kenneth Jay Lane Pearl Crystal Flower Earrings or Miriam Haskell Multi Pearl Flower Earrings. Alternatively, get some royal affiliation with the delectable gem. It may not be the real engagement ring from a real prince, but this Erickson Beamon Bette Emerald Ring, with Swarovski crystals and 22K gold plated band is certainly a nod to the powerful piece adorning Kate’s marriage finger. You can Obviously wear this stunner on whatever finger takes your fancy- as ours is adjustable as well! 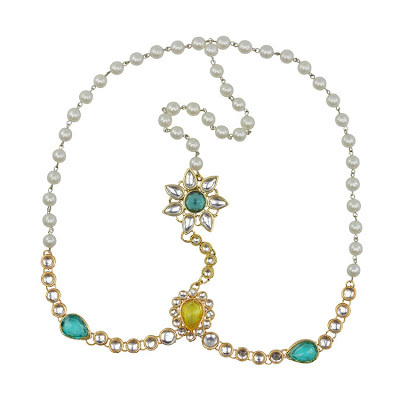 Finally, Kate loves her delicate necklaces that enhance her décolletage and this Sophie’s Closet version is guaranteed to give you an instant iconic status. 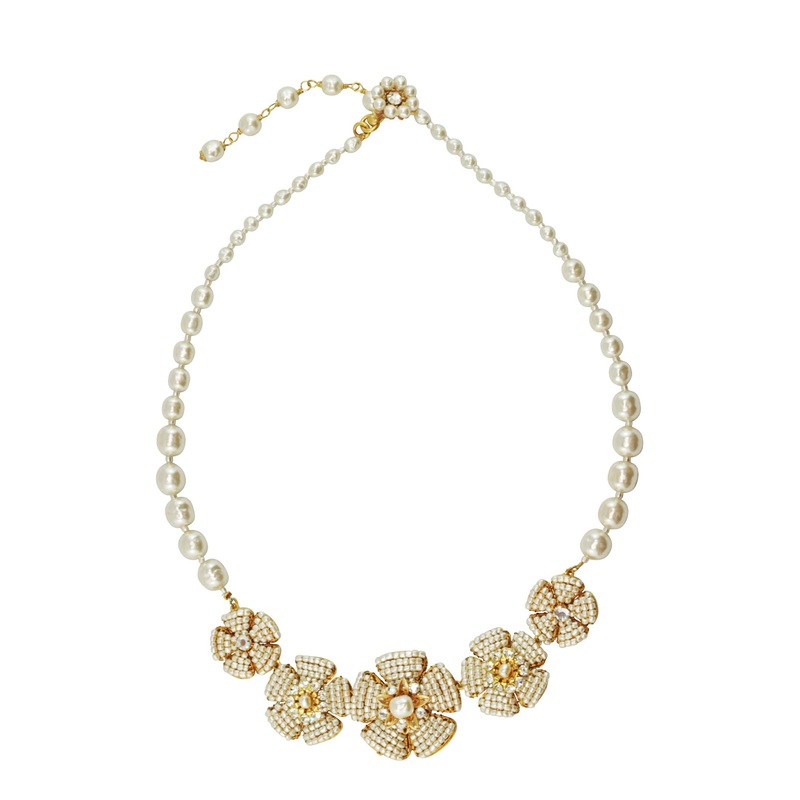 Designed by Miriam Haskell, this timeless vintage piece comprises of floral filigrees, hand wired with glass pearls, and comes complete with a Certificate of Authenticity. It’s all a girl needs to add some oomph to her neckline. ­Visit our blog again soon for more style news and fashion chat. In the meantime, take a browse through our ‘NEW IN’ irresistible items, just waiting to inject intrigue and exquisiteness to your life! 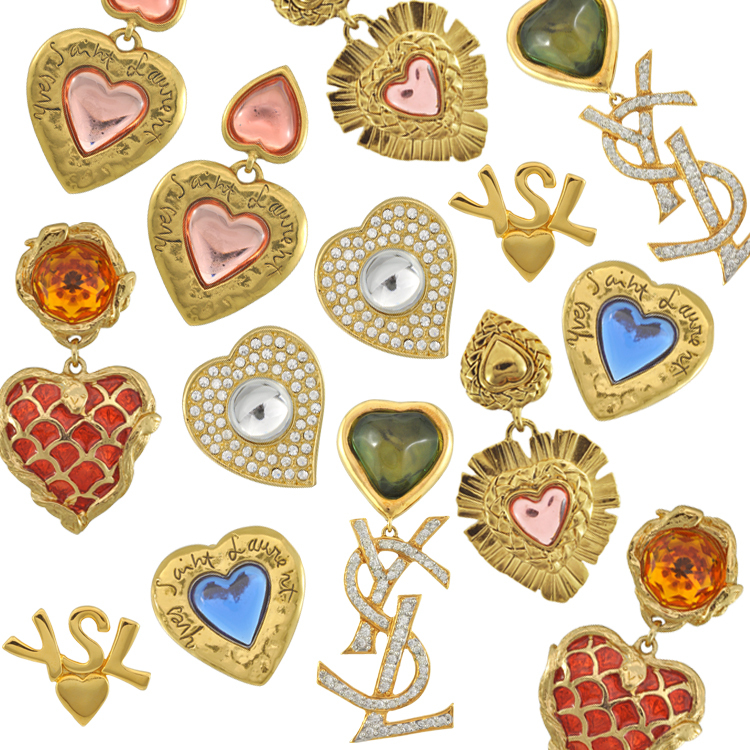 Vintage Yves Saint Laurent has arrived at Sophie’s Closet and we’re beyond excited! 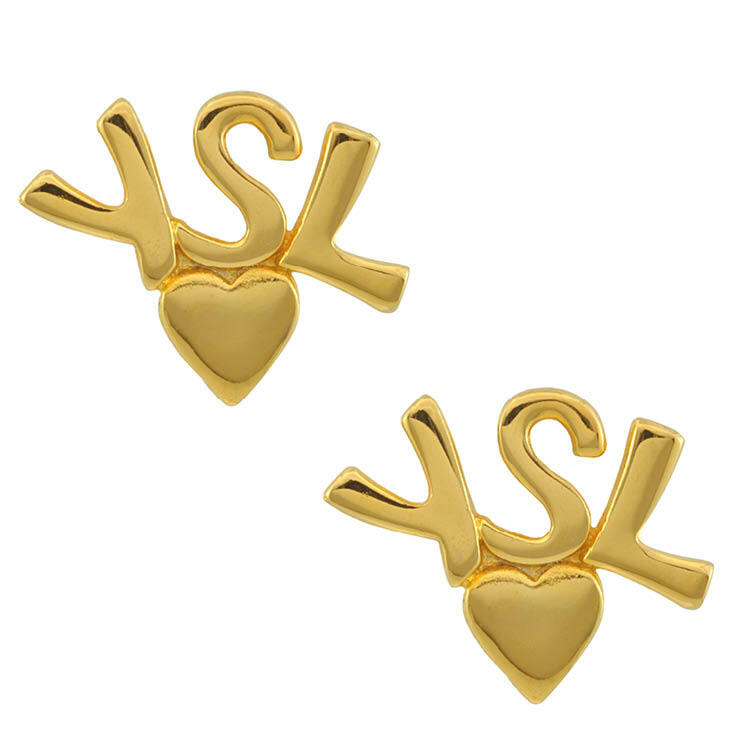 Not only is vintage YSL impossibly-chic, its classic pieces are truly timeless, irresistibly iconic and are the ultimate investment items too. 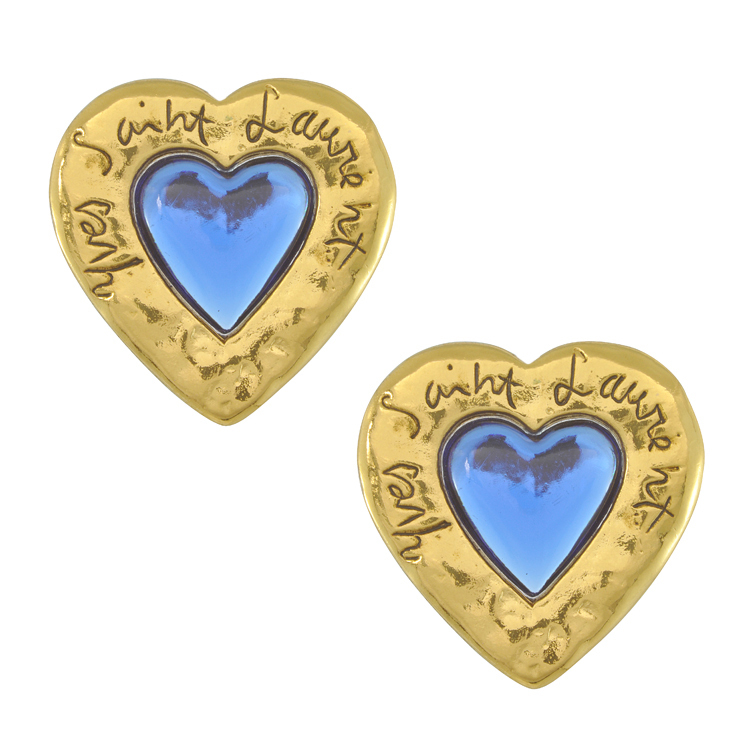 Take these striking blue poured glass centre heart earrings with Yves Saint Laurent writing – they’ll look oh-so-sensational for work, weekend and after-hours alike. 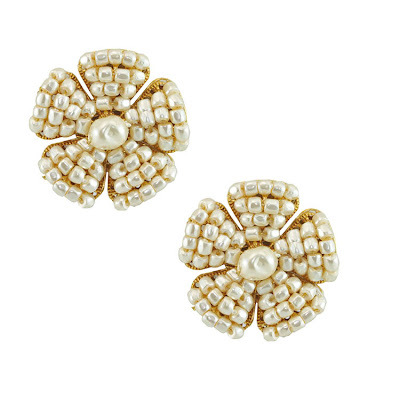 Wear them with anything, anytime! Aussie songstress Kylie Minogue is no stranger to style, and she wore a pair of vintage YSL drop earrings to the Brit Awards at the O2 arena. 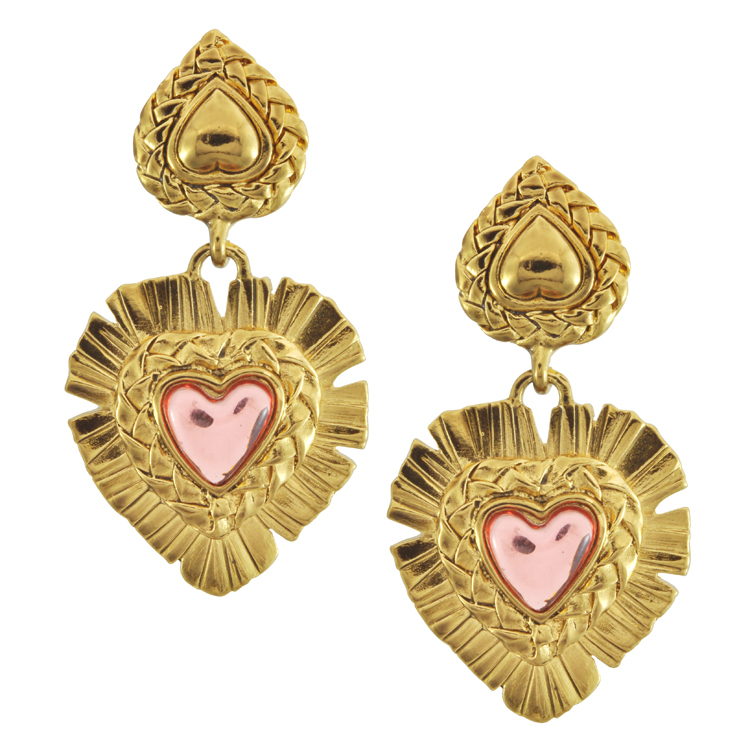 Get a gorgeous celebrity look for yourself with these authentic earrings – they’re in punchy pink with a double drop, featuring an ornate heart design. Plus, why not celebrate the retro trend with these ever-fashionable fabulous vintage YSL treasures? Elegant earrings, gold-plated hearts and colored glass add an effortless chic style to every look. 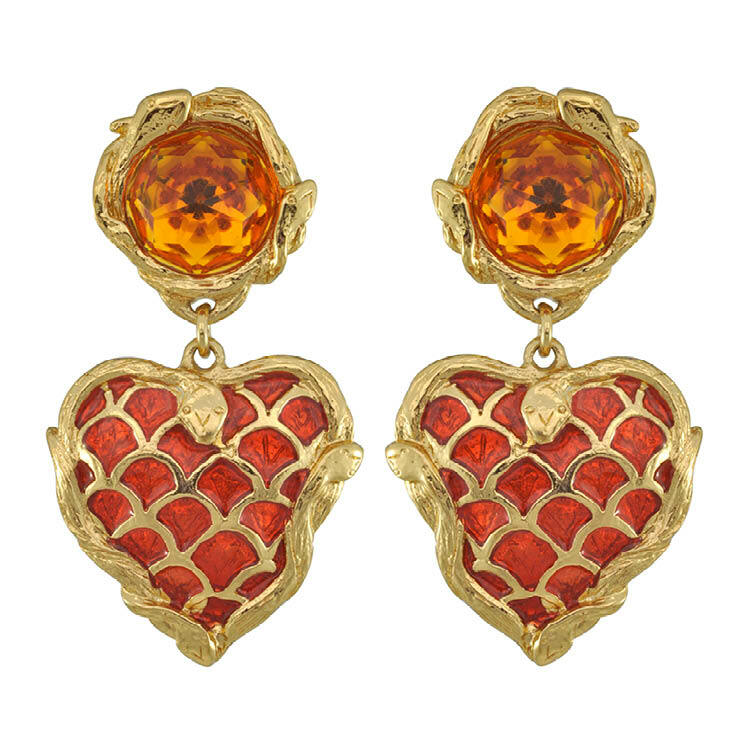 Alternatively to add instant wow-factor and fun to all your outfits, these beautiful red and amber vintage Yves Saint Laurent Heart Drop Earrings, framed with gold snakes, will be your glam, go-to option. 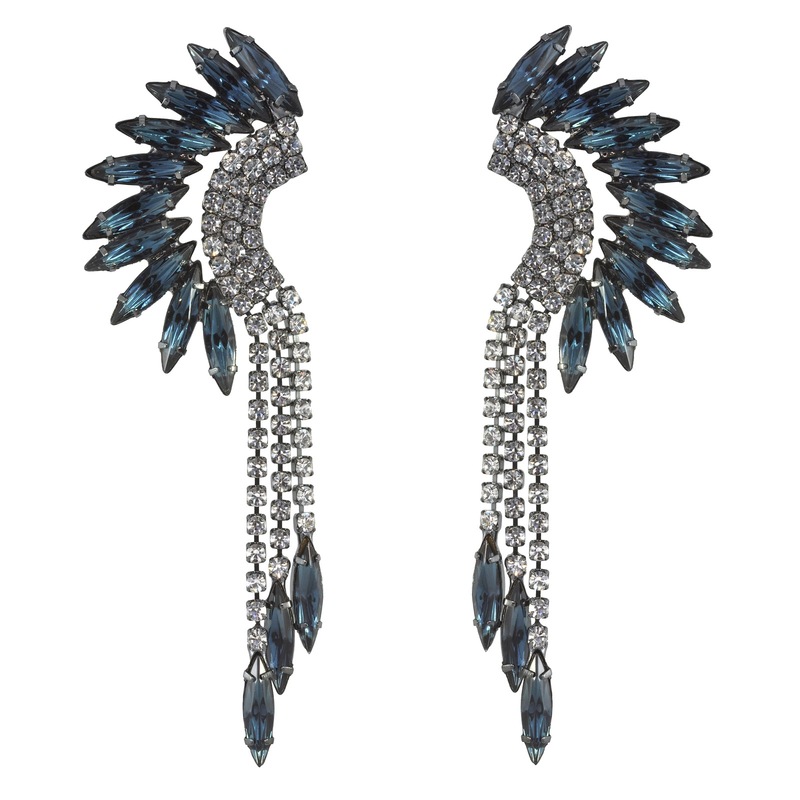 Team with your favourite little black dress and let your scene-stealing earrings do the talking! Miroslava Duma always seems to get it right, her street styling and risk taking aesthetic has been noticed worldwide. We can't stop thinking about the Chanel pearl headpiece she wore at Paris fashion week last year. 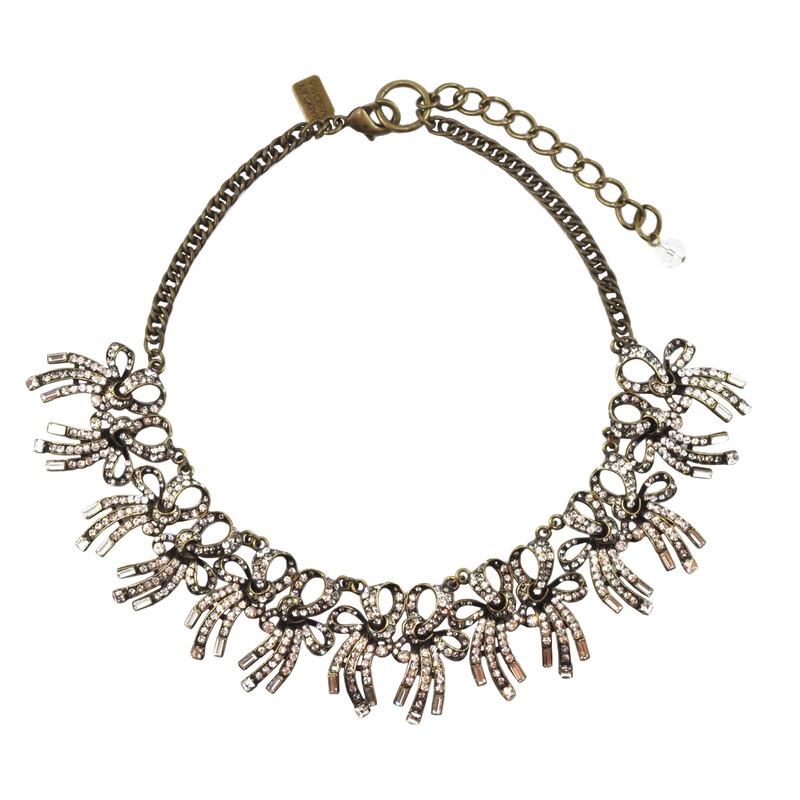 Dauphines of New York creates the most fun, stylish and luxurious statement hair pieces perfect for the fashion forward. Always worn best with a centre parting, these headpieces suit every face shape. 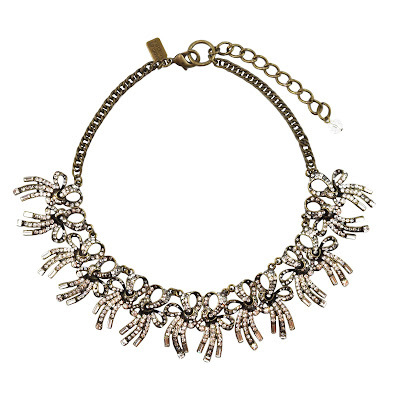 We spy the Dannijo Victor Crystal Necklace amongst a few others around Miroslava Duma's neck. If you cant choose one layer them on. 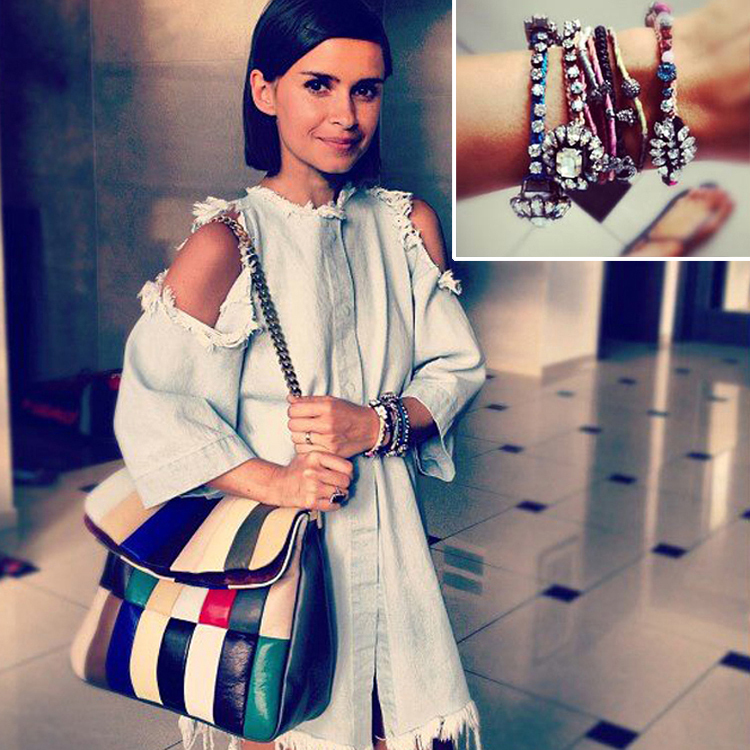 Jewellery and accessories worn by Miroslava Duma always ‘make’ her outfit. We can't get enough of her style, she wears accessories like no one else, there is no wonder she is the Russian "It Girl". Two of our favorite jewelry designers Shourouk and Dannijo pieces are often seen stacked on her wrists. 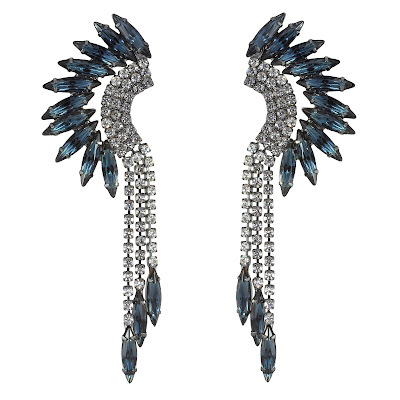 We say Miroslava should try out these Elizabeth Cole’s Navy Mohawk Earrings or Badgley Mischka’s Multi Bow Necklace.